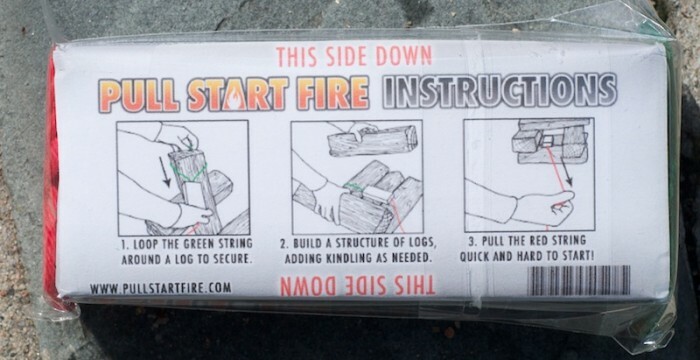 With the world’s easiest instructions emblazoned on the package as the product name, Pull Start Fire is one of the most amusing and effective fire starting products we’ve tested. The 5-inch by 1-inch block could not be much easier to use. Just loop the green line around a log, pull the red line, and prepare to be shocked! Boom! The little bugger went off, sounding about like a Black Cat firecracker, making me jump and scaring me silly. I was not expecting that. A couple seconds later, a hot hissing noise radiated from the now smoking block; a couple more seconds and flames appeared, and kept on burning for about 15 minutes, even when I put blocks of snow on the Pull Start Fire. So I’ll admit this was just a quick test in my backyard. I have two more of these gizmos, and can’t wait to try them on a rainy, windy day, because I genuinely expect they’ll work like a charm. But this was a controlled test. They weren’t soaked before lighting (probably a bad idea) nor abused. But for what it was, I’m impressed. 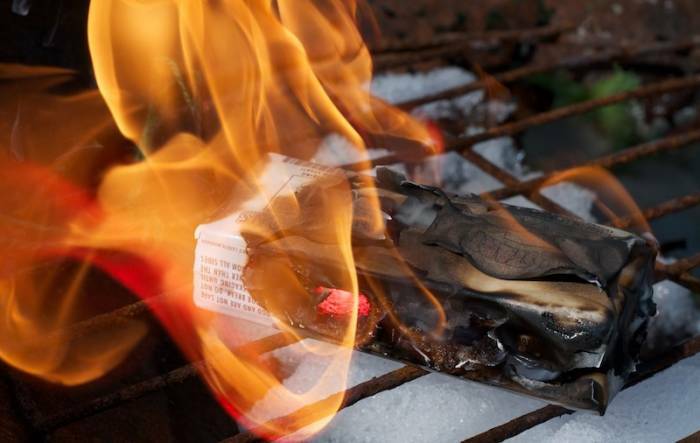 The fire starter comes packaged in a heavy plastic wrapping that proved to be waterproof when submersed. You need a knife or other sharp object to get it open. Once open, it emits a nice perfume smell that reminded me a little of citronella. As noted above, figuring out how to use this thing is really easy. The instructions are crazy simple, and even if you’re colorblind, it’s obvious which string has a loop to put over a log. What isn’t noted in the instructions is the loud firecracker that goes off when you pull the string! Holy cow, that kind of surprise will get your heart racing. But dang, the fire gets kicking fast and burns hot for a long time. 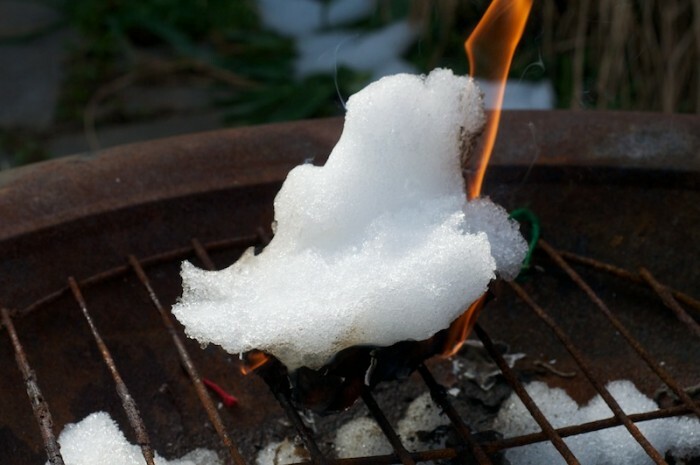 After it was clear that the little block was basically some kind of fast-burning wax or petroleum based substance, I started testing with snow, first a little, then a lot. Small snowballs just hissed, melted, and seemed to speed up the flame if anything. Finally, I completely covered the block with a big snowball. Even this didn’t put it out, and the block burned for another five minutes as the snowball gradually melted. 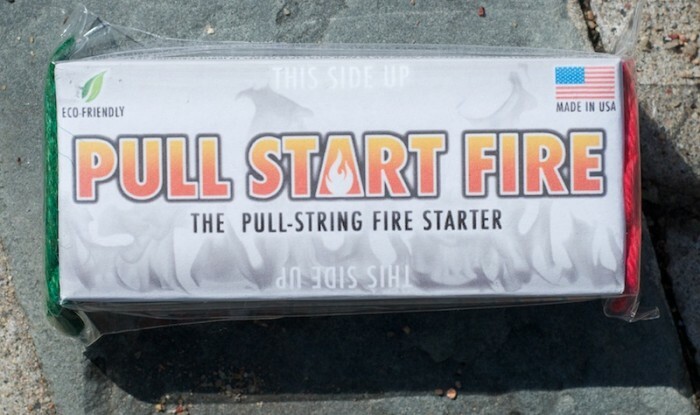 The Pull Start Fire sells for $25 for a pack of six. 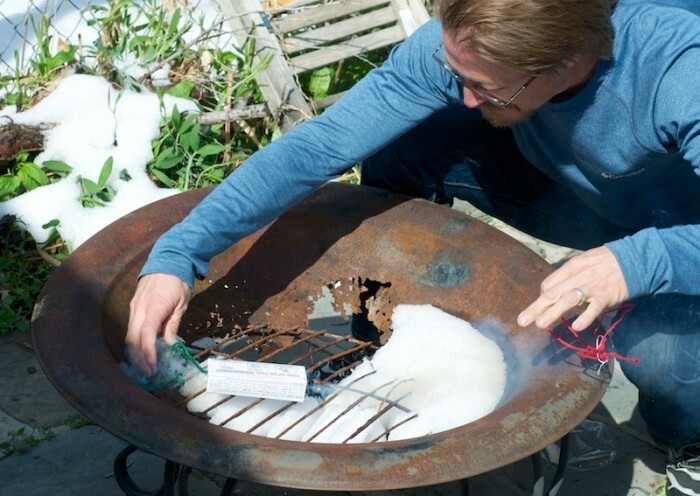 It’s a pricey way to start a fire, but seems pretty much foolproof. 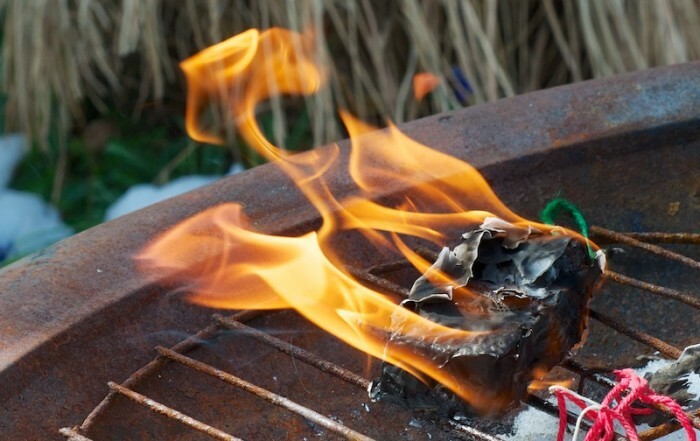 If you’ll be starting a blaze with damp wood or in dire circumstances, it could be worth its modest weight in gold.